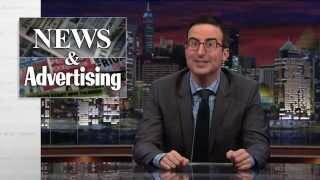 #NativeAdvertising – what it is – explained seriously by one of the best comedians out there #JohnOliver! A must see for #socialmedia #content #marketers. The line between editorial content and advertising in news media is blurrier and blurrier. Next Next post: Here is an excellent example of content marketing (paid for editorial article). This is what I work with.